In my work to abolish the death penalty, I’ve seen the connection between poverty and violence. That is the story, too, of the Nicaraguan people’s struggle for justice, and that is the main reason why Sr. Margie and Fr. Angel began the Center, and why I’m part of Friends of Batahola. I’ve heard the stories and seen the suffering of the people myself. I hope YOU reading this newsletter are moved to join us as a Friend, too. At the Center, the students work steadily alongside each other to lift themselves and their families out of degrading poverty and violence. Education and job skills are key, of course. But so are the arts classes, like music, painting, and drama. Art isn’t fluff. The arts enable strong self-hood to emerge. A few weeks ago I visited a women’s prison in California to observe a drama training program. I watched the women begin to come out of their loneliness and isolation, as they took on the roles of their characters. I saw their deep, good selves coming forth and being strengthened. I also saw how a sense of community grew in the women as they performed together. Fr. Angel who started the Center’s choral program witnessed the same. His earliest graduates, now adults with their own families, tell how the structure, discipline, and a sense of community they experienced as kids in the choral group—when life all around them was chaotic—steadied them and helped them mature. Let’s make a vow in this new year to work for justice together. Want to know my working definition for JUSTICE? It’s JUST US—you and me! 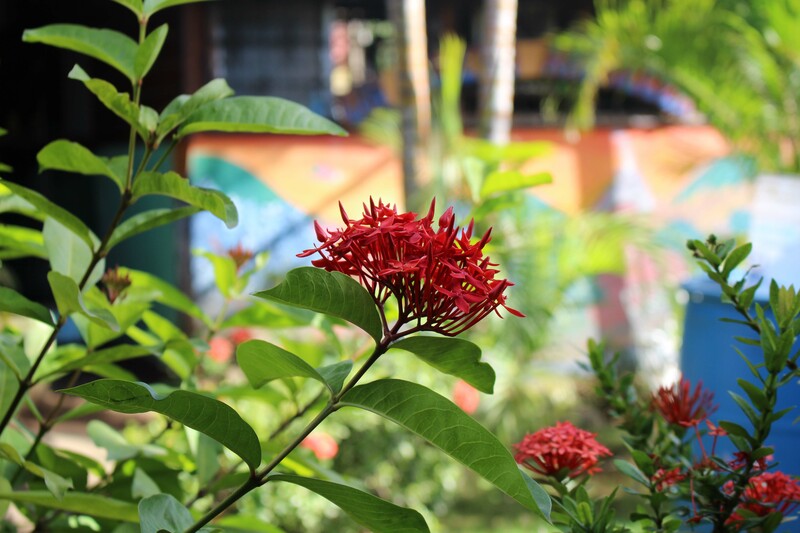 So, let’s widen our hearts and embrace the people of Batahola and the work of the Center with renewed vitality. I’ll be writing this column for the next year and look forward to sharing many stories with you about Sister Margie and how the Center got started and some of the brave, good women who were with her from the beginning. Marvin Cajina is a psychologist who coordinates the men’s group in Barrio Jorge Dimitrov, a neighborhood where the Center has worked on violence prevention initiatives for six years, with funding from the Irish Catholic Development Agency (Trocaire). Marvin has led the group for more than a year with remarkable success. About 20 men attend his Friday night meetings regularly with the admirable goal of creating a network of men who are knowledgeable about gender violence and local resources available to help prevent it. Group members are taught how to lead workshops, how to help other men, and how to pass on the knowledge and wisdom they have acquired. Marvin works closely with local political, religious, and community leaders so they are aware, too, of the work of the men’s group and can recommend its services to more men in the neighborhood. The men don’t want to rely on outside funding to continue their work and hope that in the future their network can be self-sustaining. The Center recognizes that stopping gender violence requires both women helping women and men educating men. Marvin’s work with the men’s group in Dimitrov is setting the example. Some of the most beautiful parables pertaining to heaven can be found in Scripture. One image portrayed is that of a man who planted good seed in a field that grew and bore fruit. At the same time, weeds were planted by an enemy and allowed to grow. At harvest time, the weeds were gathered and burnt while the good wheat was placed in a barn. Needless to say, the work at the Center is work that strives to sow good seed where in the end all will shine like the sun in the Kingdom of our Father. 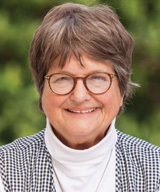 The vision of Sister Margie and Father Angel was of a Center where the seeds planted would enable others to reach out through social justice to the poor, empowering its people to face adversity and to have an appreciation of lifelong educational pursuit. Their legacy continues to bear good fruit through Friends of Batahola. 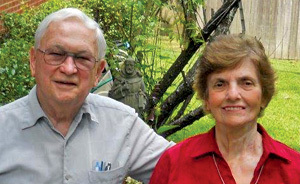 The seeds of this organization were first planted in 2001 through the tireless efforts of John and Jeanne McManus and other dedicated persons who worked to write our Constitution and establish us as a non-profit. John’s career as a process supervisor and as a process safety engineer with Exxon Chemicals qualified him to successfully “engineer” us through this endeavor. He served as the first Friends of Batahola president from 2001–2002. Jeanne, who was a long-time friend of Sister Margie and was with her at her death, promised to continue planting seeds for her dear friend. According to Jeanne, “The Center is an oasis in the middle of poverty. Physically, it looks like an oasis, and spiritually it provides “living water” to sustain the spirit of the people.” Jeanne faithfully served as the secretary of Friends of Batahola from 2001–2009. For many years, she was our official translator when we journeyed to Nicaragua or welcomed their staff members to our country. Friends of Batahola Volunteers (FOBV) is searching for two volunteers able to commit two years to the work of the Center. FOBVs co-teach adult English classes. 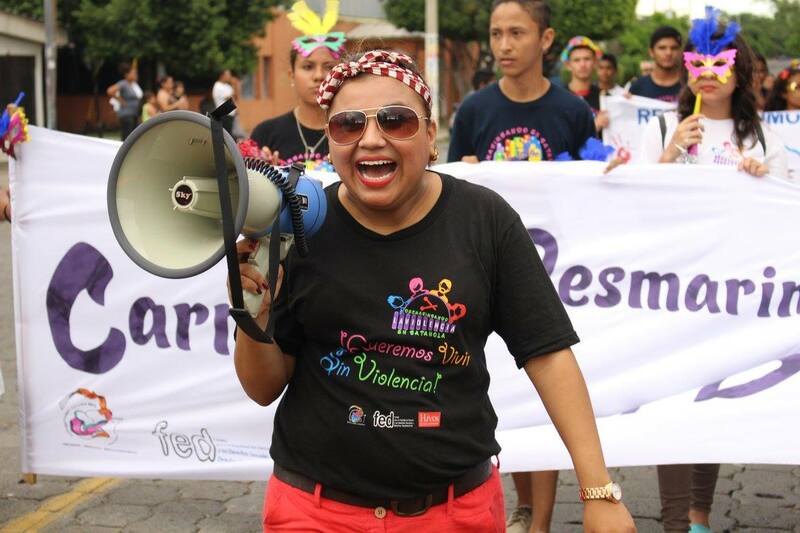 They also have accompanied women and youth in violence prevention programs, served as liaisons between the Center and U.S. supporters, and photographed events at the Center. Send a letter of interest and resume to bataholavolunteers@gmail.com. For more information, go to bataholavolunteers.wordpress.com/apply/. 2014… It Was a Very Good Year! 233 young girls and boys, 187 adolescents, 484 adult women, and 121 adult men enrolled in classes offered at the Center. 45 primary school students, 23 high school students, and 12 university students received academic scholarships. 139 students taking classes at the Center received academic sponsorships. 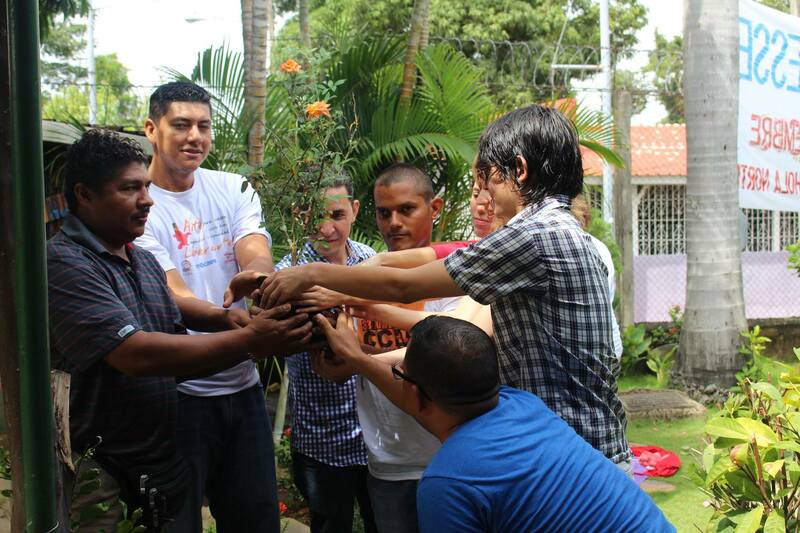 20 young leaders organized and promoted violence prevention activities at the Center. 195 young men and women participated in our "Creating Nonviolent Relationships" workshops. At least 40 women have taken concrete and courageous steps to leave violent situations, reduce their risk of violence and/or reported violent partners. The Center was awarded the "Rafael Gaston Perez" Prize by the Association of Nicaraguan Artists for its work with Cultural Recovery. 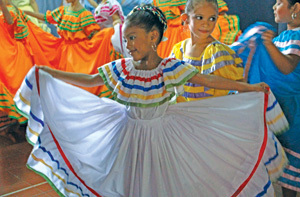 The Arts Promotion Area was recognized by the Nicaraguan Institute of Culture for its hard work and dedication to the Fine Arts. 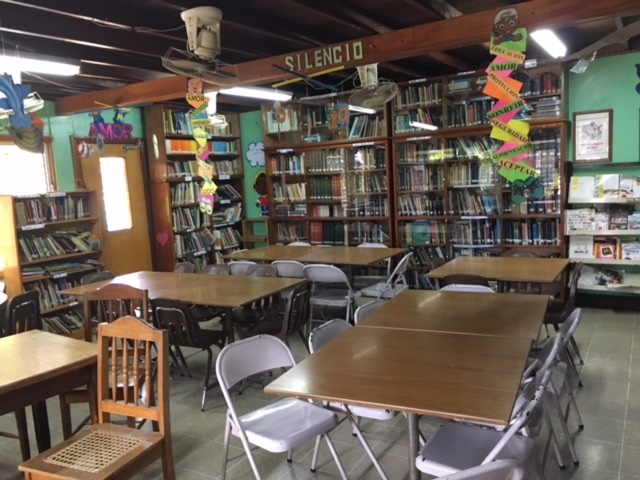 1,662 children, youth, and adults completed homework, researched school assignments, and read for pleasure at the Center’s community library. 130 boys and girls from the community attended Story Hour at the Center each Saturday morning. Thank you for your on-going support. Together we're creating a new dawn! 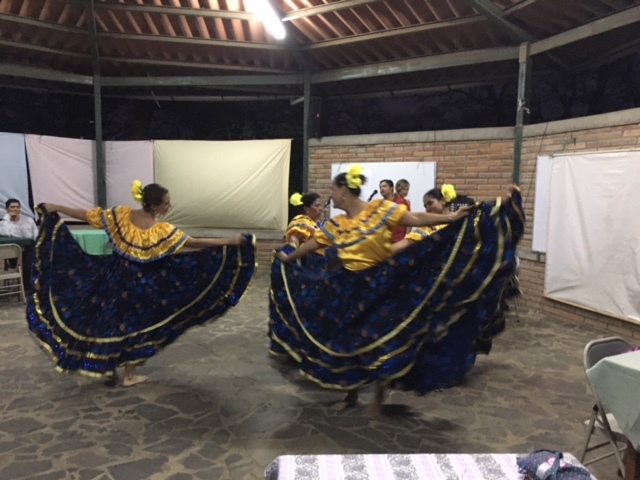 Students from the theatre class, guitar class, and Latin rhythms and folkloric dance classes performed at the fundraiser, drawing large crowds. About 20 years ago, Sister Margie, the Center’s co-founder, proposed the idea for an event that would benefit the entire Batahola community and also raise funds for Center projects. She shared with staff the concept of bazaars that she had been to in the United States. Since then, the Kermes (bazaar in Spanish) has become an annual tradition, highly anticipated by students and staff who plan the event. 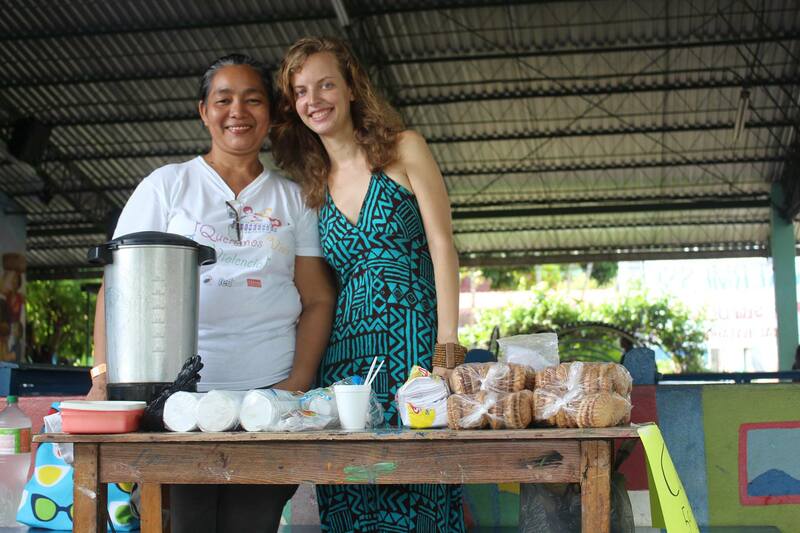 Students prepared a variety of local foods and drinks to sell to the general public. This year, EVERYTHING was sold, right down to the last grain of rice! 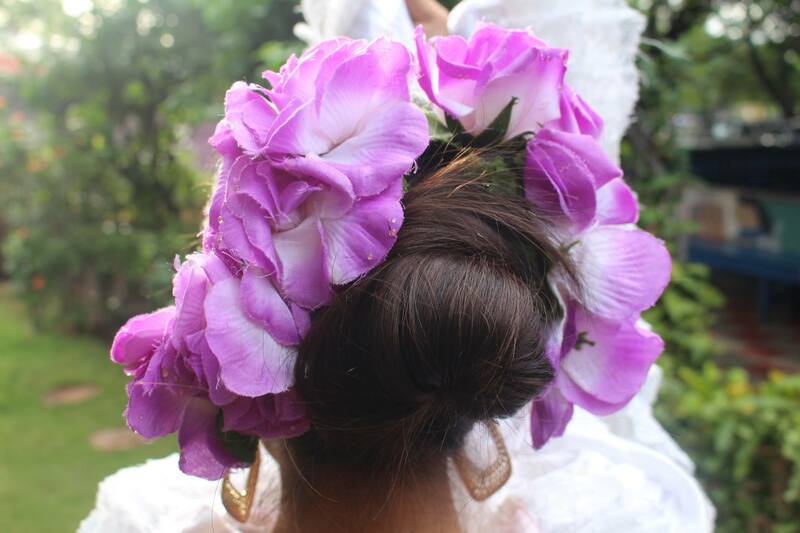 There were also sales of bed sheets, clothes, and shoes; raffles; haircuts by the beauty class students; a cultural presentation; face painting and a dance competition. The months of planning paid off! The result was a record turn out with a 44% increase in sales, a total of $3,200. 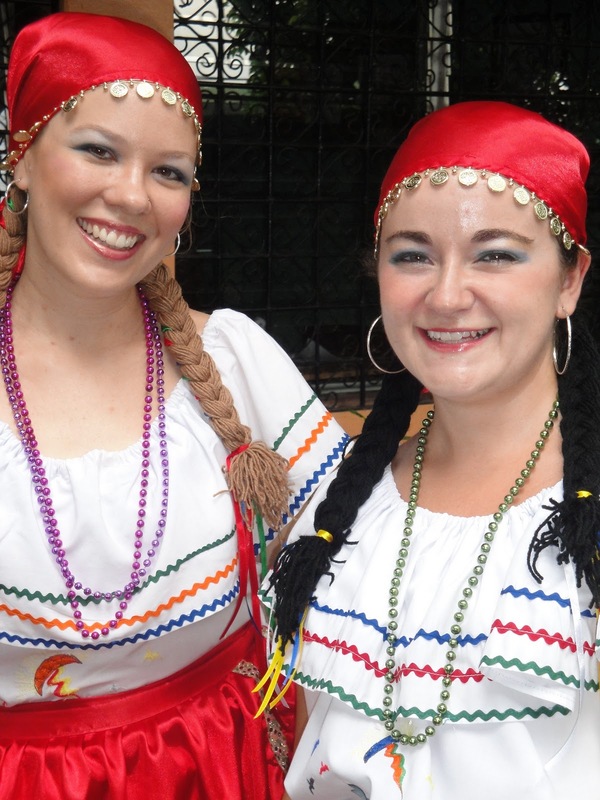 Everyone is looking forward to La Gran Kermes 2015! I started coming to the Center to take a painting class when I was 10 and haven’t stopped coming since. I began studying music, and I also joined the choir and orchestra, both of which I still participate in today. I’m about to finish my degree in Linguistics at the UNAN, and I just finished five years of voice lessons at the UPOLI Conservatory on scholarship, half of which the Center paid. As part of my graduation from the Conservatory, I had to give a final recital where I would be assessed a classification level. After six months of preparation, the day finally came. I was incredibly nervous and coming down with a cold, but I had everything memorized down to each movement I was going to make. When I finished the last song I had the overwhelming desire to burst into tears of joy, and, as soon as I got off the stage, that’s what I did. As I was waiting for my classification, I greeted my mom and saw that she was also in tears, something that I very rarely see. It was then that I knew, even before it was announced that I got the highest score possible, that I had given a performance I could be proud of. I gave the same recital at the Center as a way of saying thank you for all the support the Center has given me throughout my years of studying. The Center is always willing to find a way to support those who have the energy and desire to learn, even if they are struggling economically. 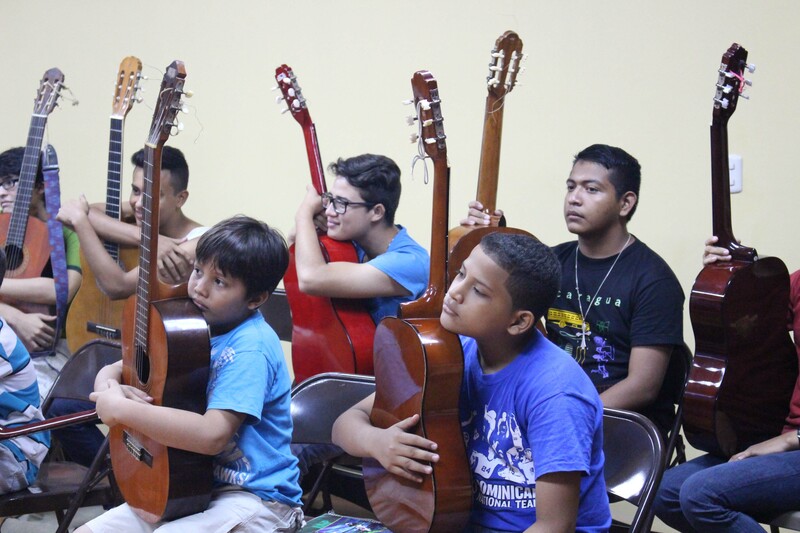 Today, I give voice lessons to students at the Center, as well as private voice lessons in Managua. My goal is to find work teaching and performing. I know that music will always be part of my life. Michael Flores Delgado, the young actor who couldn’t be more excited about his role as the scarecrow, said the play, The Scarecrow, was chosen in order to teach people about the dangers of deforestation and water contamination. 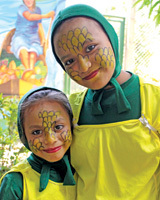 The play begins with a striking piece entitled Dance of the Corn in which the young children, costumed as plants, dance to an Andean folk song by the same name. Corn is a staple of the Central American diet. 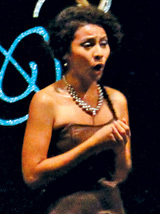 The play was presented last October to a full house, which included Gloria Elena Espinoza, the play’s author. Theater Instructor Ivonne Garcia’s objective was to teach students about the importance of nature and the environment and of taking care of its plants and animals. She said, “The most rewarding achievement was to see a consciousness growing among the students in relation to the play, the natural world, and among themselves.” The students’ dedication has extended beyond the classroom with students deciding that they would pick up trash on their way to and from the Center. 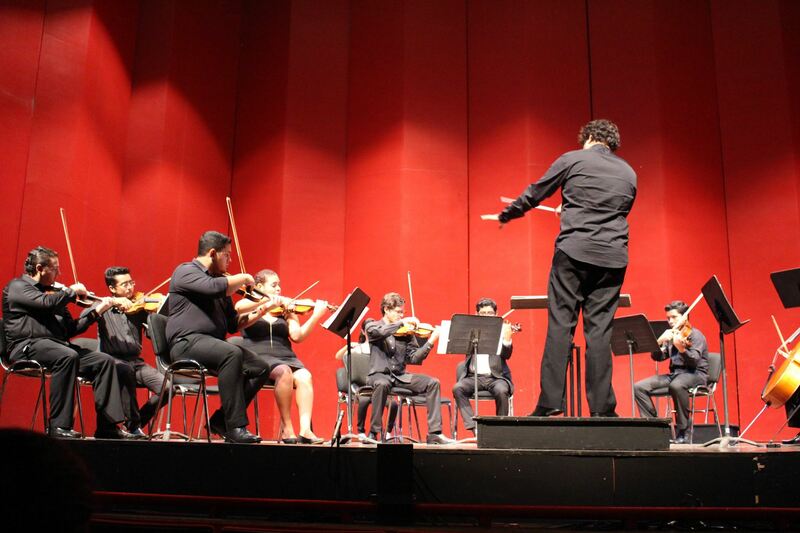 Students had the honor of performing the play in Nicaragua’s National Theatre. 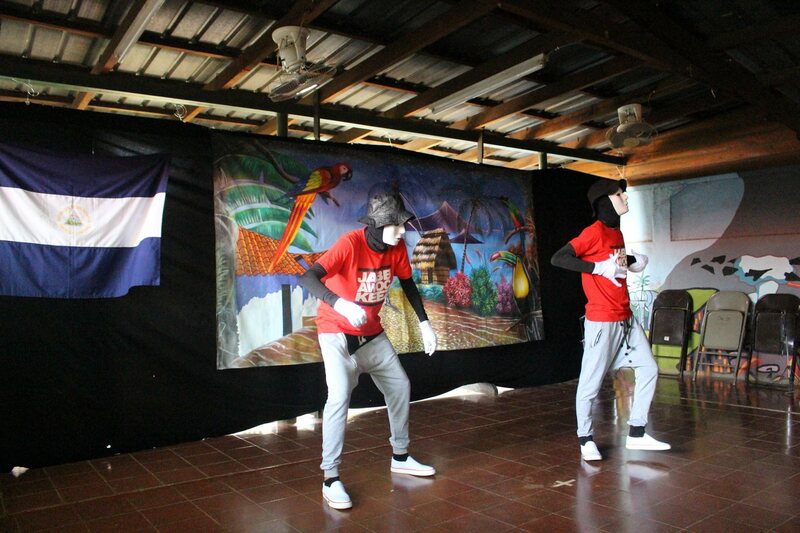 They also performed part of the play in November at the Center’s end-of-semester cultural celebration, Cierre Cultural. Donate to our Work Without Spending an Extra Dime! 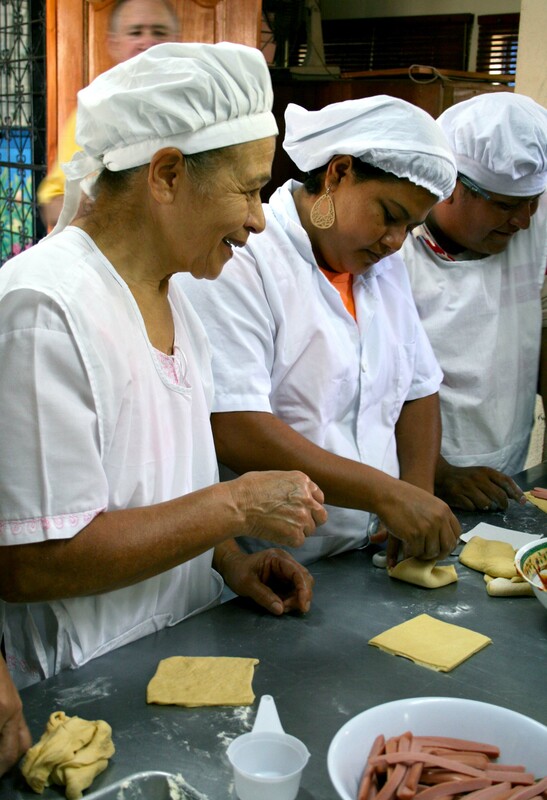 There’s an exciting new way that you can support the work of the Cultural Center of Batahola Norte. It’s through the Amazon Smile program. All you have to do is nominate Friends of Batahola as your chosen charity, and Amazon will donate 0.5% of every qualifying purchase you make on its site to us. There’s no extra expense to you and a small but significant contribution to us. The only requirements are that you have an Amazon account, that you do your shopping at http://smile.amazon.com (instead of going to the usual Amazon.com website), and that you nominate us as your chosen charity. 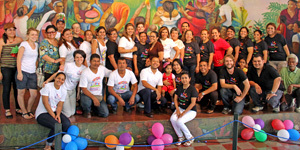 The staff celebrates another successful semester during Cierre Cultural. On November 29, students, staff, and friends of the Center celebrated the Cierre Cultural, its end-of- semester cultural celebration. This festive event happens twice a year, June and November, to recognize all of the accomplishments of our students and teachers over the course of the semester. From early in the morning, students’ art work was on display. At 10:30 it was time for the cultural presentation, the day’s main event, beginning with an introduction from the Center’s Director, Jennifer Marshall. What followed was a lively hour and a half of music, dance, and theater performed by the students. The November Cierre Cultural is particularly festive because it also celebrates the end of another year and is filled with the spirit of the holidays. Throughout the year, the Center adopts a “theme of the month” to highlight its mission and values. Then, from guitar to accounting class, the theme is woven into each curriculum as teachers plan their creative activities around the theme. Last October was environmental stewardship month. Erika Coe and I, both Friends of Batahola Volunteers, planned our own activity to bring increased awareness to this important theme. We had many grand and elaborate ideas, but we decided to start small and see where some seeds (literally and figuratively) might be planted. We chose to do a planting project with one of the young scholarship student groups that come to the Center for tutoring each week. 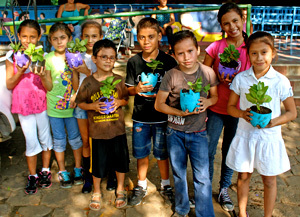 The idea was to help the students create a recycled planter that is fun and easy to make and that would get them excited about plants, as well as curious about how they can help take care of the environment. Our hope was that they would take their excitement and awareness home and share it with their families. Luckily we had CCBN Librarian, Arlen, who has experience in recycled arts and crafts, to give us some tips. To begin the first step of constructing the planters, the students brought in three-liter bottles that they found at home or in the street. Then, with some paint, glitter, and the help of older scholarship students, they transformed their plastic bottles into either sparkly kittens or goblets. The next week when the planters were dry and ready to be planted, the Center’s trusted gardener, Santos, shared his expertise on plants and his passion for gardening with the students. The local government generously donated 30 plants and bags of fertilizer to use for our project. 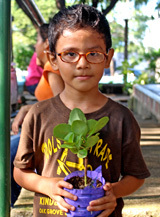 So, with great excitement and equipped with new knowledge, the students chose their plants, and Santos supervised as they carefully transferred them to their planters and watered them. The following week, we showed students the movie, The Lorax. In a simple and straightforward way, the movie helped them to reflect on the severity of the problem of consumerism and destruction of the environment. It was especially ironic to reflect on the problem of artificial trees when those of us who live in Managua have seen the large yellow “trees of life” spring up at every roundabout in the city. These trees have been criticized for their “Willy Wonka” appearance, but a more serious criticism targets their price tag. Each tree costs $20,000, plus the cost of electricity to keep them lit at night. This is why the Center implements themes of the month—to promote critical thinking by connecting broad values to visible current events which students can understand. These values begin as small seeds that will hopefully one day grow to bear fruit. In the coming year, Erika and I are excited to explore other ways that we can continue to water seeds that have already been planted, whether or not we will ever see them grow. In early December, Archbishop McNicholas (McNick) High School students in Cincinnati, Ohio, hosted its third annual Friends of Batahola Fair Trade sale, selling handmade goods crafted by students and staff from the Center. 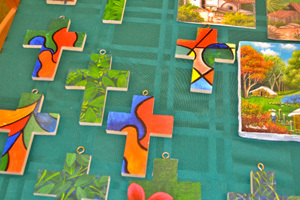 The items included jewelry and painted crosses, as well as notecards featuring two murals painted at the high school by Gerardo Arias, art teacher at the Center and a Nicaraguan artist. Both Norman and Hutchinson-Smyth lead the annual summer McNick student immersion trip to the Center. They agree that the sale is a great way for McNick students to practice solidarity with students from the Center.